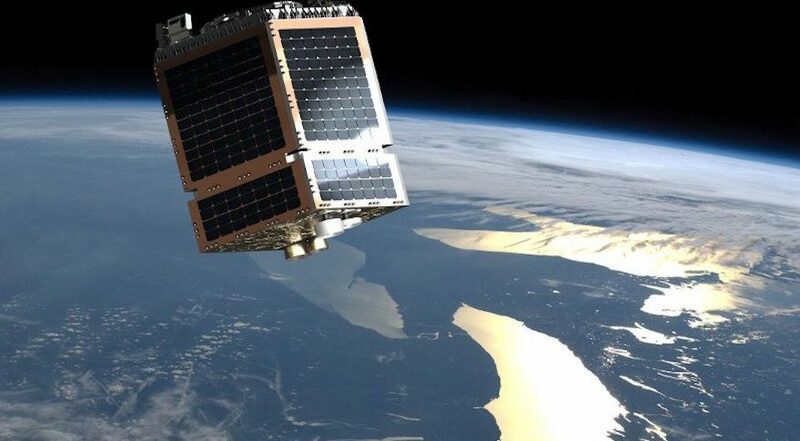 WASHINGTON — Satellite fleet operator Telesat, whose first two low-Earth orbit satellites launch later this year, says latency was the critical factor in deciding to invest in a high-throughput, non-geosynchronous constellation. Dan Goldberg, president and CEO of Telesat, said during a July 26 conference call with investors that while the Ottawa, Canada-based company is still spending on geostationary high throughput satellites (HTS), including two slated to launch next year, it was the need for faster broadband services in the future that drove the decision to favor a closer orbit. Latency in satellite networks is largely driven by orbit, and medium Earth orbit operator O3b Networks, now a part of SES, frequently championed the reduced latency advantage of having satellites in orbit 8,000 kilometers up compared to 36,000 kilometers where geostationary satellites reside. Industry has and still does debate the significance of latency, depending on the applications served, but the growing number of LEO systems suggests a changing tide in that discussion. Low latency is a core tenant of OneWeb’s LEO-HTS constellation, which counts Intelsat among its investors. Similarly LeoSat argues that latency will be a discriminating factor for its constellation, as has corporate backer Sky Perfect JSAT of Japan. Goldberg’s “terabit-plus” mention was a nod to ViaSat, the Carlsbad, California satellite operator building a constellation of three large Ka-band satellites each promising a terabit or more of capacity for broadband applications. He said large GEO-HTS satellites have allowed industry to keep pace with customer demands, but haven’t checked every box for Telesat. “When we looked at all this and we looked at the state of technology in terms of launch vehicles, in terms of satellite technology, [and] user terminals, it became increasingly clear to us that LEO was going to be an excellent way to answer what the user community was looking for,” he said. Telesat does have two GEO-HTS satellites under construction, Telstar-18 Vantage and Telstar-19 Vantage, from Space Systems Loral of Palo Alto, California. Those are scheduled to launch in the second quarter of 2018, Goldberg said. Both are launching on SpaceX Falcon 9 rockets. Telstar-18 Vantage, which Hong Kong-based APT Satellite is co-financing in exchange for capacity on the satellite, targets the Asia Pacific; Telstar 19 Vantage covers the Americas. Goldberg said Telesat’s two LEO satellites, one from SSL and one from Surrey Satellite Technology Limited, are launching this year on rockets shared with multiple other small satellites. He said Telesat has already placed ground infrastructure for the satellites at one of its teleports in Canada, and has mostly existing customers that want to participate in testing the spacecraft. Michel Cayouette, Telesat’s chief financial officer, said the company’s guidance of $165 million to $185 million on capital expenditures for the year still holds, even with the increase in LEO activities. Telesat has yet to procure its full constellation of 117 Ka-band satellites. Goldberg said Telesat is making a number of new hires to focus on the LEO constellation, but described the impact on operating expenses as immaterial. Telesat’s operating expenses increased 5 percent for the three months ending June 30 to $44 million Canadian dollars ($35.2 million) compared to the same period last year, excluding currency fluctuations from a stronger U.S. dollar. For the first half of 2017, operating expenses grew 11 percent to $99 million Canadian dollars. Telesat reported $226 million Canadian dollars in revenue for the quarter ending June 30, down 3 percent year over year due to the end of a short term service agreement with another satellite operator. A 5 percent stronger U.S. dollar offset some of the difference, Telesat said. Revenue for the first six months of the year was $461 million Canadian dollars, down 1 percent compared to the same period in 2016. Telesat’s income was $148 million Canadian dollars for the quarter, and $236 million Canadian dollars for the first six months of 2017. The operator’s first quarter increased by $86 million Canadian dollars due to “a higher non-cash gain on foreign exchange arising principally from the translation of Telesat’s U.S. dollar denominated debt into Canadian dollars and favorable changes in the fair value of financial instruments in the second quarter of 2017,” Telesat said. Goldberg said pricing pressure from oversupply remains strong in Africa, Latin America and Asia, but is stable in North America. As of June 30, Telesat’s fleet utilization stood at 94 percent for North America and 64 percent internationally. Goldberg said North American capacity use stayed flat while international use dropped by three percent over the quarter.